The tenth lineup of YES features JON ANDERSON, TREVOR RABIN, TONY KAYE, CHRIS SQUIRE and ALAN WHITE. «Talk» makes some effort to get away from the group's indulgent art rock pretensions, at least to the extent of using a spare, spacious production full of closely miked drums and sharp guitars. (No wonder, since guitarist TREVOR RABIN produced the record.) 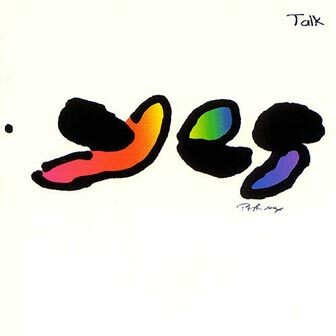 Rabin and Anderson are the main composers, and they fail to come up with really distinctive songs, which may help explain why this album had a lower chart peak than any new YES album since 1972 and a shorter chart run than any YES album except the compilation album «Classic Yes». In other words, a disaster. — William Ruhlmann.